Penny Haynes is an Ordained Pastor, Licensed Pastoral Counselor, Certified Anger Management Specialist and Certified Alcohol And Drug Counselor in Training. Penny has been working in the Recovery Ministry since 2011 when Ronnie and Penny started a Celebrate Recovery group. She has led 9-month women’s Step Studies each year. She counsels with the men at Good Shepherd Recovery House. Penny offers Individual, Family and Group Counseling, as well as online live and recorded classes to help in different areas, such as codependency, depression, anxiety, hopelessness, and more. She also provides Anger Management Assessments, Anger Management Classes, and Drug Assessments. 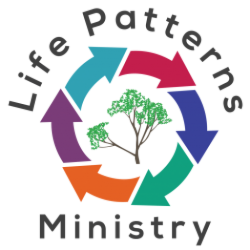 Find out more about her counseling ministry, set an appointment or sign up for her monthly counseling membership or her courses only membership at http://PennyHaynes.com.